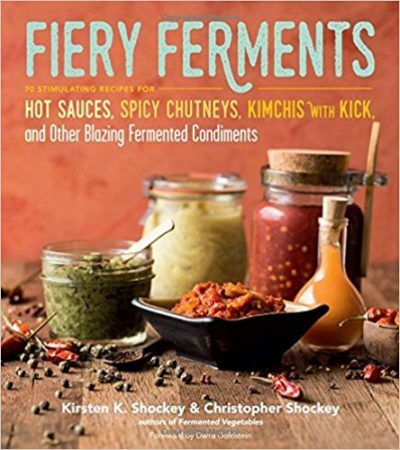 When I first read the title of Kirsten and Chris Shockey’s book, Fiery Ferments, I was worried. Honestly…super hot stuff is just not my thing. There are recipes all over the heat spectrum here. From super mild to super hot – it’s all covered! That’s awesome because it means you can decide for yourself if you just want spicy or you want heat. 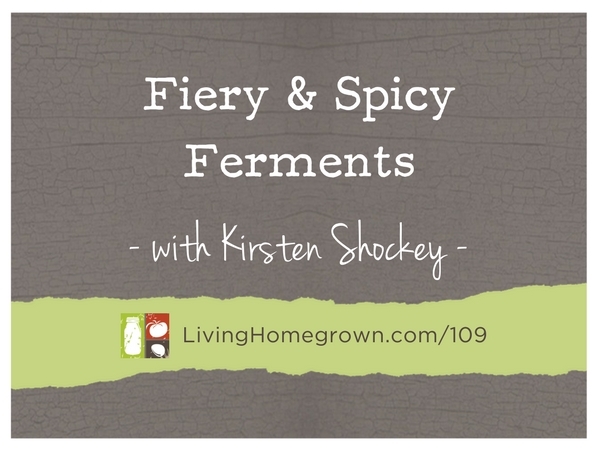 So, that’s why I invited Kirsten to come on the podcast to tell us all about fermenting with a kick. Her flavor ideas will knock your socks off. Kirsten K. Shockey is a mother and homesteader living in Southern Oregon who finds herself with increasingly fewer children at home, significantly less livestock in the fields, and way too much fruit in the orchard. 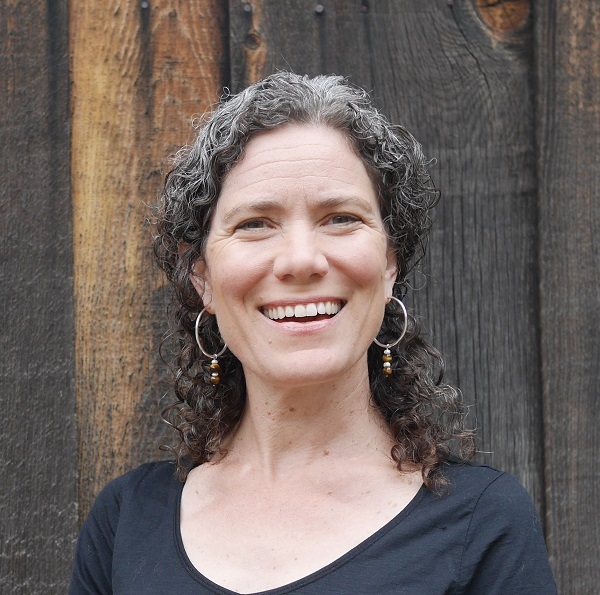 Kirsten is also a writer and educator who is passionate about helping people take responsibility for their food. She is the co-author of Fermented Vegetables and Fiery Ferments and both books came from her desires to teach people how to ferment and to push this culinary art to new flavors. She travels across the country helping people make, enjoy and connect with their food. Her website is FermentWorks. Try One Of Kirsten’s Recipes! It makes a great condiment and you can customize it in many different ways! Enjoy! This was very fascinating Theresa. I never really thought about fermenting peppers before. I learned from you that cucumbers can be fermented into pickles, but I only thought of trying to pickle peppers. After tomatoes, peppers are a favorite for me, but I wound up dehydrating them, but now I have something else to try. Thanks. Keep up the good work.